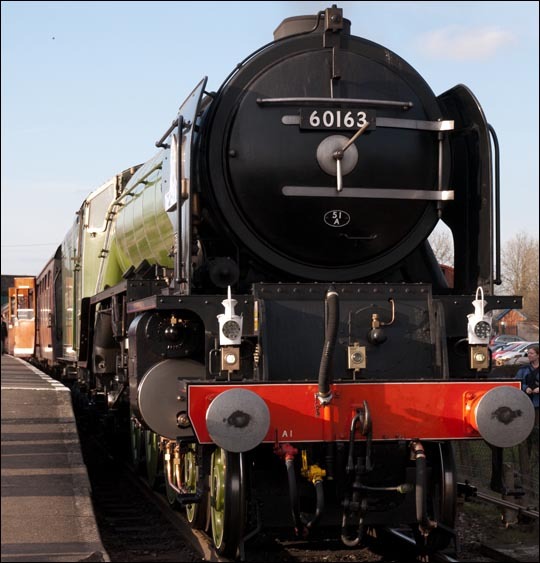 The new build LNER A1 60163 Tornado at the Great Central railway in April 2010. 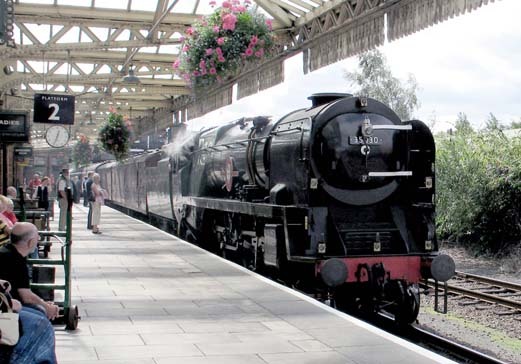 The Great Central Railway of today was started by the Main Line Steam Trust. Its goal was to run a double track main line and have the spectacle of two trains passing each other, one perhaps a main line passenger train with ten coaches and the other with 40 mineral wagons. People thought that this was to grand and would never come to foliation.These no hopers and those of little faith have all been proved wrong.Two track running is now common place. 40 mineral wagons steam up and down the line. The Great Central Railway today (2014) runs from Loughborough to Leicester North station close to the Leicester outer ring road. 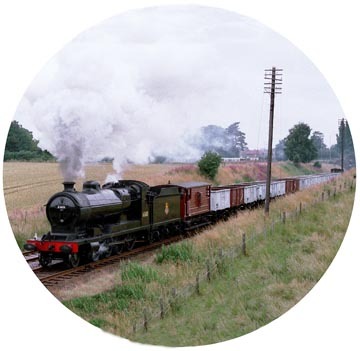 This railway is one of the better railways and is well worth a visit.There are also stations on the line at Rothey and at Quorn & Woodhouse. The head quarters of the railway is at Loughborough were the engine shed is and the main shop ect.. The railway has a large collection of steam and diesel engines. The railway is open weekends and bank holidays and daily from June to September. The part of the railway which the present Great Central runs on was mainly double track with island platforms for the stations, a road bridge placed over the platforms then gave access to the stations. The present railway station at Loughborough is a perfect example of Great Central stations at a small town and Quorn & Woodhouse and Rothey are good examples of a small village station. The present Leicester North is all new but is only yards away from a station that was called Belgrave & Birstall. This new station was be made to Great Central design but local planing laws and site excess has halted a quick and as large a station as might have been built here. The small obstacle of a canal a main road and the Midland main line all of which need bridges befor the railways can join. This will not come cheap . With modern planing and safety laws the cost will be high but if past efforts are any thing to go on it will be done. The Bridge to the Future page of the Great Central own web site has full details of the bridge over the Midland Main line that has to be built in 2015, be for the overhead wires get to the Loughborough main line station. 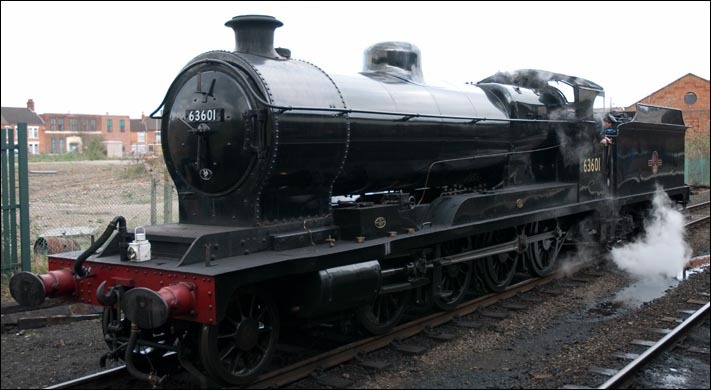 63601 at Loughborough in 2010 in BR black.